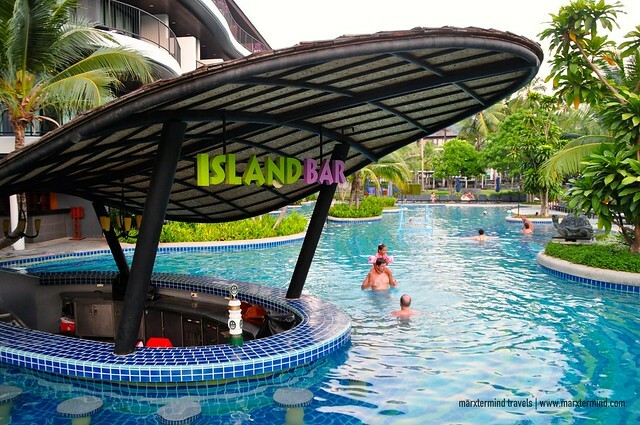 Enjoying the pool with my friends, having some refreshments at the pool bar, lazing around all-day, getting fascinated with our resort, I was imagining these things as we drove from Surat Thani to Krabi. After the crazy days in Ko Pha Ngan, I was excited for Krabi because finally we could have our time to unwind. Our days in Ko Pha Ngan had been insane because of partying and all. So for this part of our trip, we just wanted it to be more of relaxation. 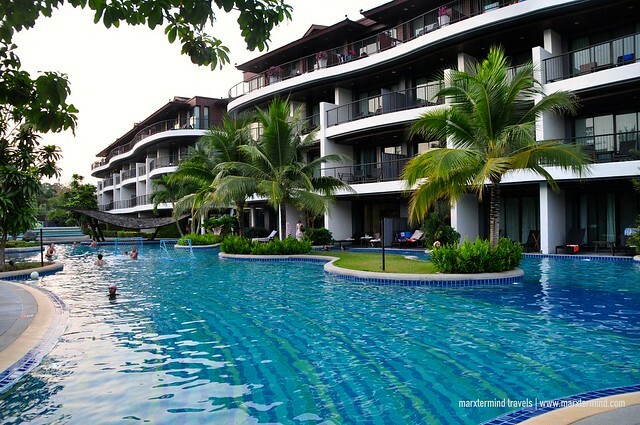 And perfectly, Holiday Inn Resort Krabi let us experienced our much-desired vacation. 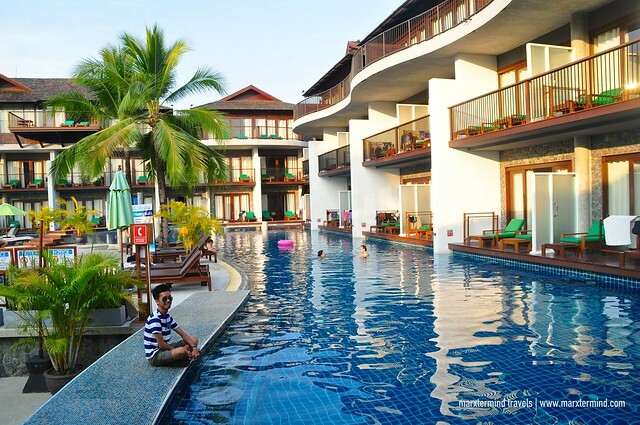 Staying at Holiday Inn Krabi Resort was the nicest thing about our trip. It was our home for two nights offering us nothing but pleasant vacation. It was the perfect base to enjoy Krabi. Through admirable rooms, magnificent facilities and great hospitality, the resort indeed provided us a wonderful stay. 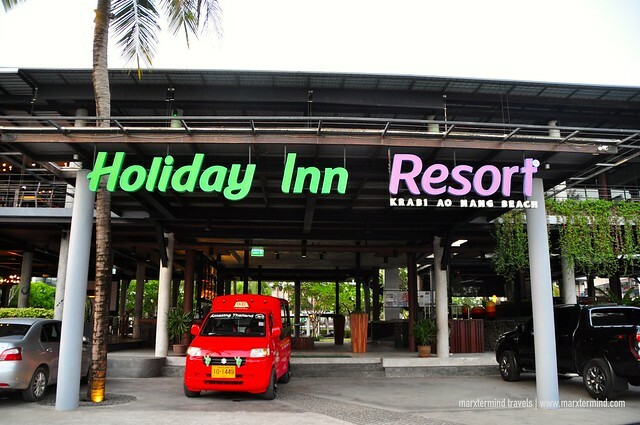 Holiday Inn Resort Krabi is located at the peaceful side of Ao Nang. The resort is just situated across the beach. It’s also close to the town center, which is an easy 15 minutes walk. Getting from and to the resort is also convenient by riding a tuktuk. The airport is more or less an hour away. 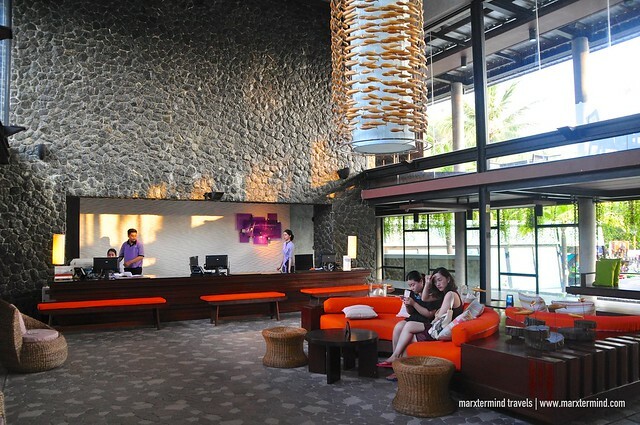 You could also ask the resort for transfer service if you wish to, which we’ve found more convenient. It was around 2:00 PM when we were able to arrive in Krabi. The resort picked us up from the bus terminal. We reached the resort in less than an hour travel time. The group settled in the lobby first while I arranged checking in our rooms. I asked for my friends’ passports and then presented these to the front desk officers. After few minutes, we had our rooms already. That was a swift check in process, I must say. Since I was the one who checked in for the group, I actually had the chance to choose a room for my roommate and I. 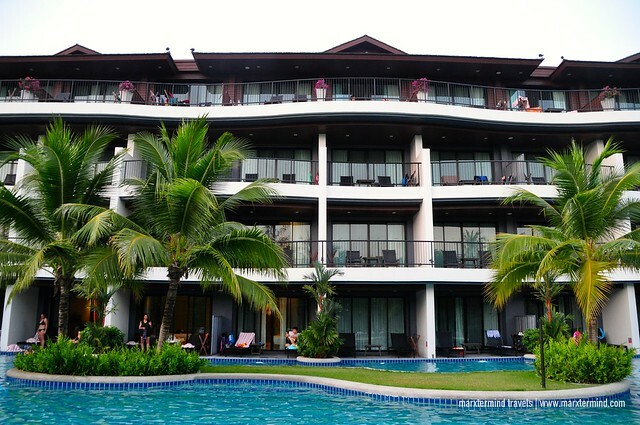 The rooms were Penthouse Suite, which was for the couple, and Pool Access Room and Premier Rooms. I wanted a room with a pool access, so I picked that type. The resort offers beautifully appointed rooms and suites. It currently has 173 luxurious accommodations fitted with modern amenities. Rooms are placed into two wings: at the Couple Wing and at the Family Wing. The Couple Wing features Superior Room, Deluxe Room, Pool Access Room and Penthouse Suite. The Family Wing features Premier Grand View, Premier Pool View, Kids Suite and Family Suite. You may check room rate and availability here. Our Pool Access Room was a great choice. The room is located at the ground floor giving a convenient access to the large free-form resort swimming pool from the balcony. The balcony also has comfortable sun lounges, which I’ve found a perfect place to relax. Or hang out with friends while enjoying the pool. Our spacious accommodation has two double beds. It is air-conditioned. 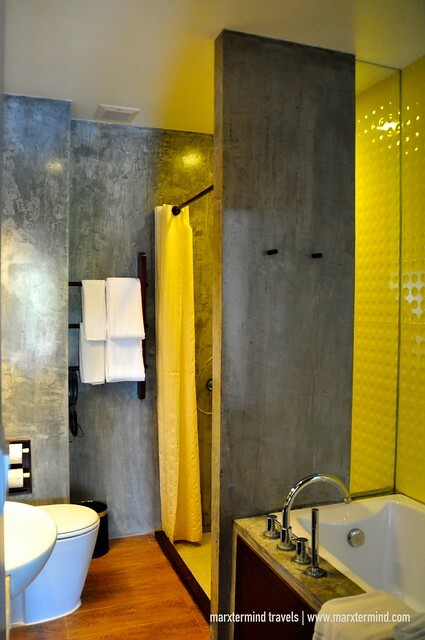 It has a private bathroom provided with excellent bathroom amenities. It has a bathtub, but sadly I wasn’t able to try. The room is also well appointed with TV, DVD Player, stereo, phone and a work desk. Refrigerator and coffee and tea making facilities are also available. 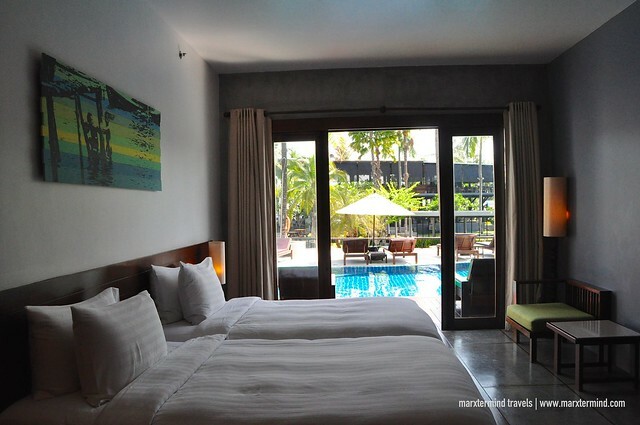 Aside from the direct access to the pool, the comfort and superb facilities instantly made me like our room. Having a wonderful room like this made our stay more rewarding. The beds were comfortable that put me in dilemma on what to do first, lie down in bed to have some nap or enjoy the pool already. But there was no need to choose right away because we had two nights to enjoy the resort. So after I took some pictures of our room, I enjoyed the comfort of my bed first and had a very quick nap. I also had the chance to check out the Penthouse Suite, where two of my friends stayed. It was located on the topmost floor of the couple swing. As soon as I entered their room, I was surprised to see how lovely the suite was. What was entirely perfect about the room was the stunning view from the veranda. Well I thought we already had the nicest room but this one was the best I must say. 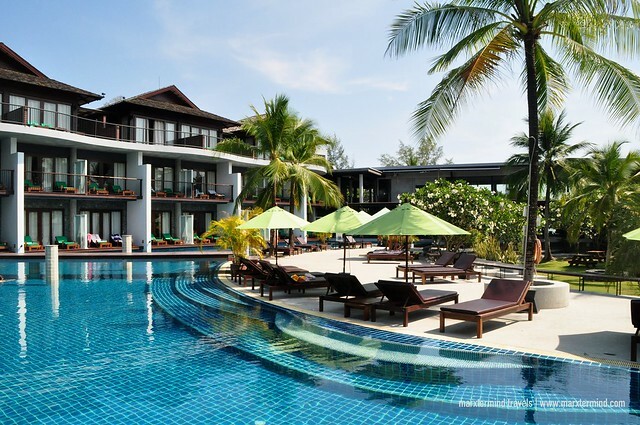 Set within a wonderful tropical landscaped grounds, Holiday Inn Resort Krabi also features spectacular facilities and services that surely guests would love. 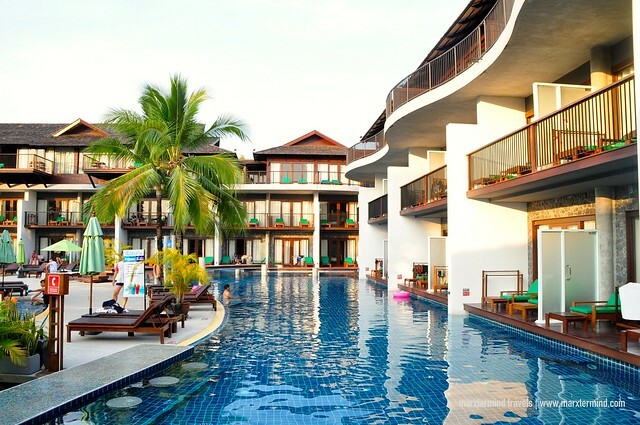 The resort has 3 free-form outdoor swimming pools and Jacuzzi with a separate kid’s swimming pool with open-air Jacuzzis. One pool is located at the family wing. The other one is situated at the couple wing. The latter was our area, which I preferred more because it has a relaxed environment away from the active part of the resort. Loungers and shades are available in each pool. Pool bars are also available for drinks and snacks. 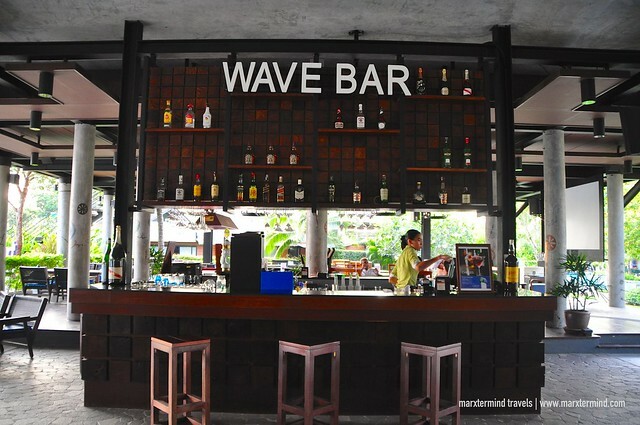 Aside from the pool bars, the resort also has Wave Bar located opposite the lobby. The bar is ideal for cocktails and snacks. It is also a perfect place to watch the sundown. 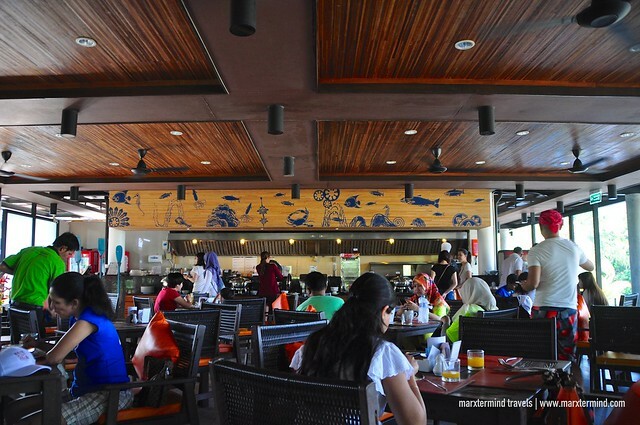 The main restaurant of the resort is InnAsia, which is located on the roof of the lobby. 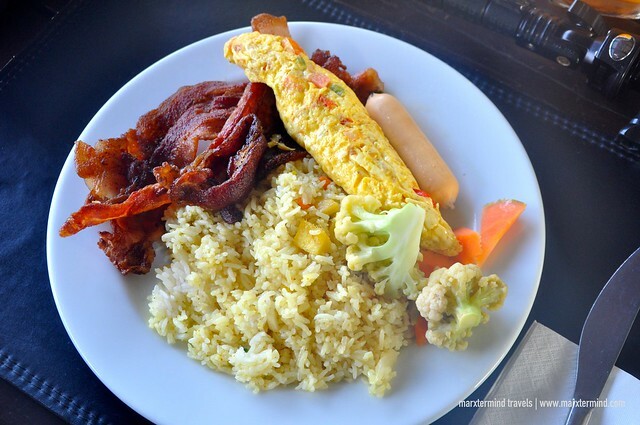 The restaurant is open daily from breakfast to dinner. They offer a full a la carte selection, fresh seafood, exotic fruit juices and unique beverages and cocktails. This is also the place where they serve buffet breakfast, which comes complimentary for all guests staying in the resort. 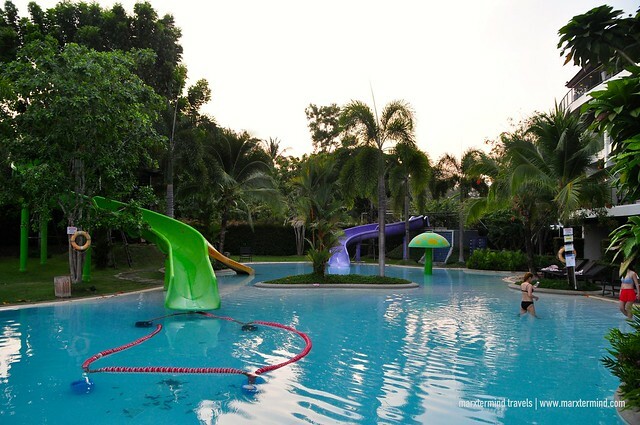 The resort also provides variety of activities including Kid’s Club for Toddler and Teen, Fitness Centre and Spa. In fact, they also hold daily activities and games that guests can join to. Other services of the resort are laundry service, room service, airport transfers, and babysitting. 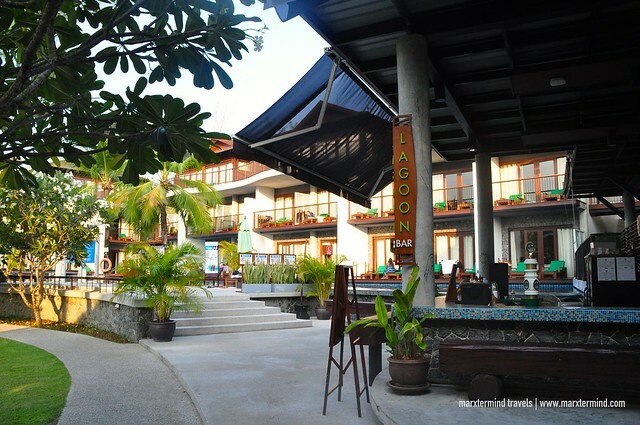 The resort also provides Wi-Fi connection for free. 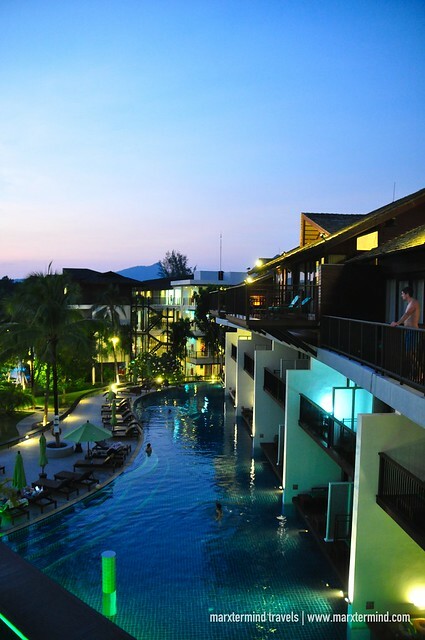 It is no doubt that Holiday Inn Resort Krabi is the best place to stay. 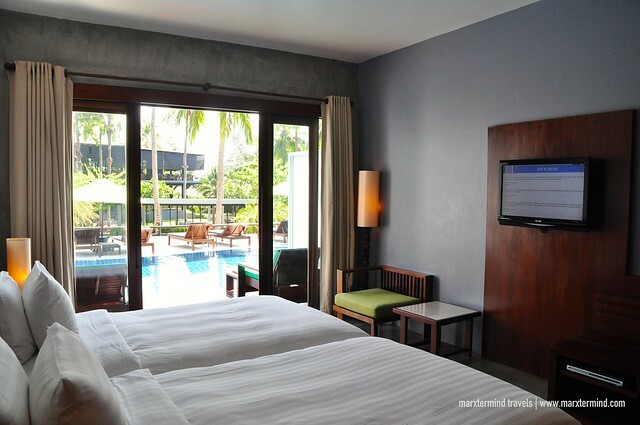 The well-styled rooms and great tropical surrounding absolutely gave us wonderful days while in Krabi. 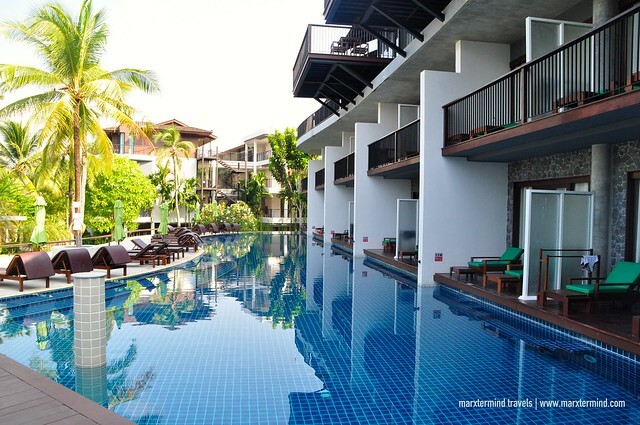 The resort effortlessly provided us the enjoyment and comfort that made our days in Krabi a true wonderful holiday. 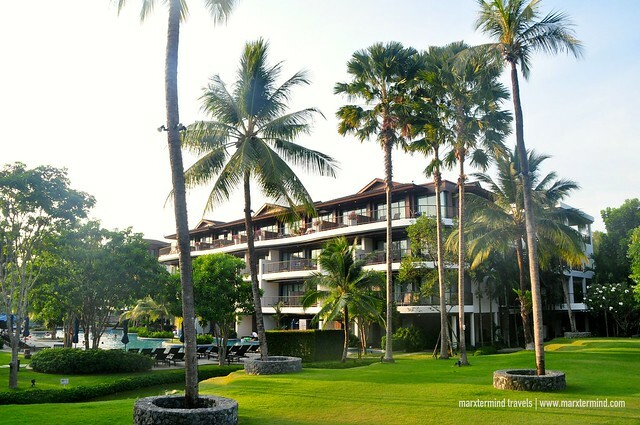 Disclosure: Holiday Inn Resort Krabi Ao Nang Beach hosted our stay for the purpose of reviewing the resort. All notes and opinions are my own.